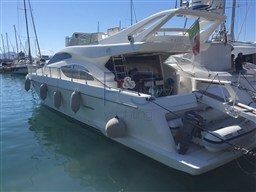 BEAUTIFUL BOAT, practically new, the boat is READY for ANY testing, NOT MISSING ANYTHING and everything is WORKING PERFECTLY. 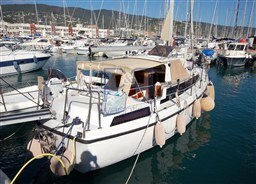 The LIST of ACCESSORIES is almost endless RECOMMEND VISITING on board to VERIFY DE VISU the STATUS. 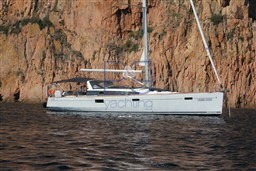 What a beautiful boat!!! 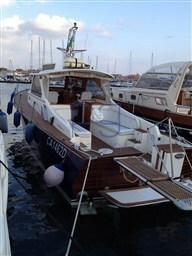 Different, retro, classical lines and elegant marina. It is noted for the sinuous lines that are coming back to mind the beautiful boats of old, when you looked after the first boat on the water, as he sailed, safety and only after the internal dimensions. Beautiful, beautiful and substance. A CLASSIC OF THE ITALIAN SHIPBUILDING INDUSTRY, FLYBRIDGE CLASSIC, FEATURING ABUNDANT SPACE TO INDICATE THE SAVOIR FAIRE OF ONE OF THE LARGEST AND MOST PRESTIGIOUS ITALIAN SHIPYARDS. 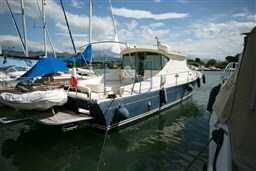 THE BOAT IS VERY WELL EQUIPPED, ALL COMPONENTS ARE IN GOOD STATE OF PRESERVATION, FUNCTIONAL AND WELL MAINTAINED. 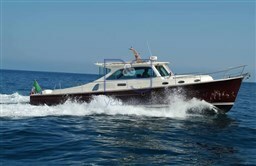 THE BOAT IS EQUIPPED WITH LARGE LIVING ROOM, THREE DOUBLE CABINS, A SINGLE CAB AND CREW CAB. ALL CABINS WITH BATHROOM. THE TWO GUEST CABINS, HAVE SHARED BATHROOMS.